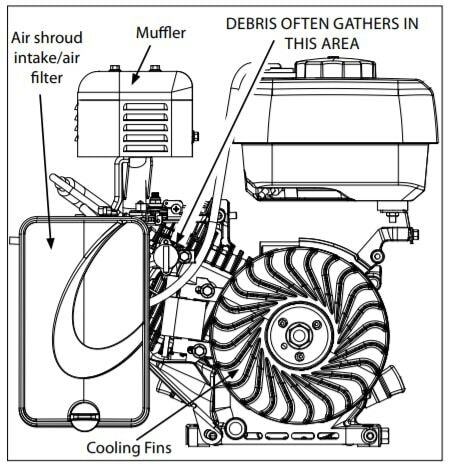 To keep your gas-powered wood chipper operating in top shape from year to year, it's a great idea to follow its recommended maintenance schedule. The good news is that signs of heavy use are easy to remedy! As long as you follow the maintenance procedures spelled out in the product manual, you can get many productive years of service from your chipper shredder. It's a good idea to check for debris (with the spark plug disconnected!) every time you use your chipper, but it's especially helpful and convenient when you're taking care of other maintenance tasks, too. Find an old bowl or oil pan to drain your oil into and place it underneath the oil plug. Most oil plugs will require a 5/8" wrench. Loosen the plug until you can turn it with your fingers, then use your fingers to unscrew it the rest of the way to allow the oil to easily drain out. While your oil is draining, you can move on to the next steps. Using approximately a 5/16" socket with a socket wrench, loosen and remove the screws from the air filter cover. 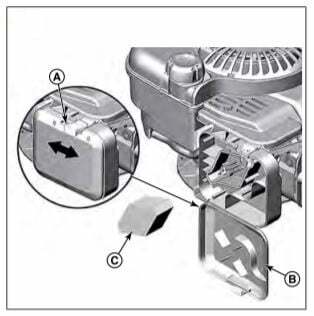 Open the air filter cover and remove the filter for inspection. If it's still relatively clean, simply dust it off and put it back. If it's dirty, you can replace it or clean it. Several manufacturers recommend changing your air filter after every twenty-five hours of use. If you use water to clean it, leave it out until it's completely dried before reinserting it. Locate the black rubberized spark plug wire as seen in the video, and pull it free from the spark plug. Using approximately a 5/8" socket with a socket wrench, loosen and remove the spark plug. Inspect the wide end of the spark plug for corrosion of any kind. If it's okay, reinsert and screw your spark plug into place. If it's corroded, replace it with a new one. 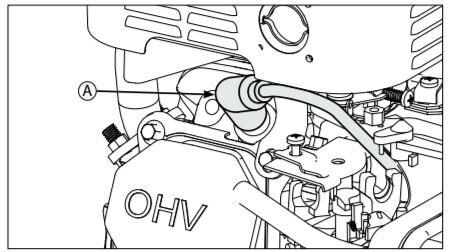 Once your spark plug is screwed tight into place, reattach the spark plug wire and make sure it's pushed all the way onto the plug. By now, your oil should be fully drained, so it's time to finish the job. Screw the oil plug back into place and tighten it with your wrench to prevent it from shaking loose. Locate your oil cap on the top of the unit. It's typically a yellow cap that will have a dipstick attached. 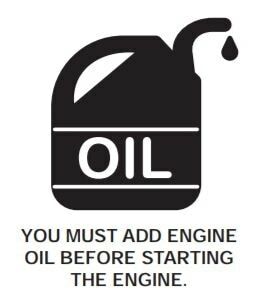 Remove the cap and pour the appropriate amount of manufacturer suggested oil type into your tank. It's recommended that you use a funnel for this processes to avoid spilling oil on everything else. With a taller funnel, you can pour more quickly without worrying about overflow. Wood Chipper Tune-Up Tips.. Our Power Equipment Direct how-to library can help you learn about A Guide to Power Carts and Wheelbarrows, Proposition 65 Product Labeling and Sales Tax Information.